The Far Country is the story of a London girl who visits Australia and meets a displaced doctor from Czechoslavakia, in the unlikely location of a timber cutting area, and various adventures which, as in most of Nevil Shutes books, end up 'happily ever after'. It is a totally believable story, it is just the sort of thing that could have happened in the 1950's in England and Australia. I have paperback copies of all Nevil Shutes books, collected from the time I first discovered him in 1965. The Far Country is the most read, to judge by its tattered state! The main reason I enjoy this story is that I can relate totally to the accurate descriptions he gives of London, Leicester, Melbourne, and the mountain country in the north east of the State of Victoria where the fictitious Lamirra is located. I lived in England for 2 years, and in the part of Australia he refers to for 20 years, and this book is so true-to-life! As he describes the towns of Woods Point and Merrijig, and the Howqua, they must have been just like that in the 1950's when I can only assume Nevil spent a fair bit of time visiting there. The only thing that changed that area for all time, after Nevil visited there, was the creation of Lake Eildon, a very pleasant recreational water reservoir made by damming some valleys in the region of The Far Country. His descriptions of the bush fires are graphically correct - I lived at Albury (mentioned in the book, incorrectly spelled once) during a bush fire, and a fireman friend described exactly the same situation where the hot weather vaporises the eucalypus resin, and the fire leaps miles at a time. Anybody caught in the path has a very unpleasant and dangerous time as the fire goes by. The Windsor Hotel in Melbourne sounds just like the hotel at the top of Melbourne city near Parliament House - maybe it IS called the Windsor - I was never affluent enough to go there! The way sheep farmers became very wealthy was commonplace in Australia inthe period after the World War, and Nevil describes well how typical farmers would have reacted to their sudden wealth. And as he describes Leicester, and the railway station and doctor's home: when I was living in Leicester I tried to retrace the path he describes, from the station to home to railway cafe. The area around that part of Leicester fitted exactly with the book description. Now, 30 years later urban renewal has probably changed that for ever! He describes the Australian summer and the English winter so well that it makes one sweat and shiver just to read them. A made-for-TV movie of this book was shown in the mid 1980's, Australia made. The Australian scenes as I recall were very lifelike. The town of Yackandandah in the mountain region of Australia was used for filming street scenes of Banbury, and a hotel there was renamed the Queens Head for the occasion. Last time I was there, it was still wearing its movie paint job. That movie kept close to the original story line, and I am very annoyed with myself for accidentally erasing my videotaped version. The English segments of the movie were unfortunately all too obviously staged in Melbourne streets, with the occasional Bobby and red pillar box added. All in all, an excellent book I feel. As the back of the paperback notes, from the Evening Standard "What lifts this into the Book-of-the-Month class is Nevil Shute's gift for investing an everyday story with a warm appealing humanity. He is a romantic who finds his themes in down-to-earth reality." I read 'The Far Country' when I was a young teenager, probably around 1958 or 9, quickly following it with the other novels available in the library. I liked 'No Highway' best, with its strange combination of hard engineering and paranormal revelations via Elspeth Honey. The latter impressed me greatly at the time. When I first read the book, I understood vaguely that its vision of the Victorian high country was heavily romanticised, but it still fascinated me. I had no idea that I would be moving permanently to Adelaide much later, in 1972, as an academic. I still return to Leicester every year as my mother and sister live there. I recall that my father (who put me on to Shute) was indignant at the description of it in the novel as "an industrial city, mostly boots and shoes. It's rather ugly, I suppose. I don't think anyone would choose to live there if they hadn't got associations, or a job." It's obvious that Shute had personal knowledge of Leicester, as the few mentions of the topography of the city are accurate. Jenny says "We live in a house about a mile and a half from the centre of the city ... in a fairly good part, near the university. It's a suburban street of houses in a row, all rather like the one next-door. It's not far from the shops". Later she walks "in a fine, misty rain up the grey length of London Road to her home by Victoria Park". Dr Morton's house (and surgery, presumably) are clearly in the Highfields area, the closest residential area to the station. In the 1950s this was a solidly respectable area, including big Victorian terrace houses intended to be maintained by a couple of live-in servants, and favoured by doctors and other professionals. With the huge migrant influx into Leicester, Highfields subsided into a semi-slum in the 1970s and later, with nearly all the big houses let off as rooms. A few brave attempts were made to 'gentrify' it - trendy friends of my sister actually bought a house there for a while - but it has an infamous reputation for prostitution and drug dealing today. The cafe to which Jenny and Carl resort on his visit to Leicester ("a frowsy place undecorated for some fifteen years" where there is no meat on the menu) is certainly the Turkey Café on Granby Street, near the station, then and now a landmark building and still a café. I think the cinema they go to for the warmth and to talk is imaginary, however. A curious personal recollection I have dates to around 1958, when I was 12. 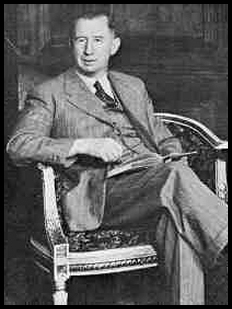 My mother had a friend nearby, and one day she told my mother that her neighbour had had a visit from a relative, a famous writer in a big car, who was named as Nevil Shute. My mother still recalls this incident, but neither of us knows now whether it was then a very recent event or one being reported from a few years earlier. A child's memories aren't, perhaps, very trustworthy, but reading 'A Far Country' again with an historian's knowledge of social conditions in England in the early 50s, I think Shute piles on the agony as far as doctors are concerned. I was a sickly child and had much to do with GPs around the time when the novel is set. Our main GP was (to my perception and certainly my parents') an almost god-like personage who lived in a handsome mansion in New Walk with a palatial waiting-room, demolished with many laments in the 60s. He was far from being a harassed, put-upon medico like Dr Morton, troubled by endless requests from ungrateful patients for sick notes. Shute's hostility to the NHS (which admittedly was resisted by many doctors), laboured throughout the novel, doesn't sit well with the fact that my life was saved by the expensive 'new' antibiotics, supplied free, which my parents certainly could not have afforded themselves.